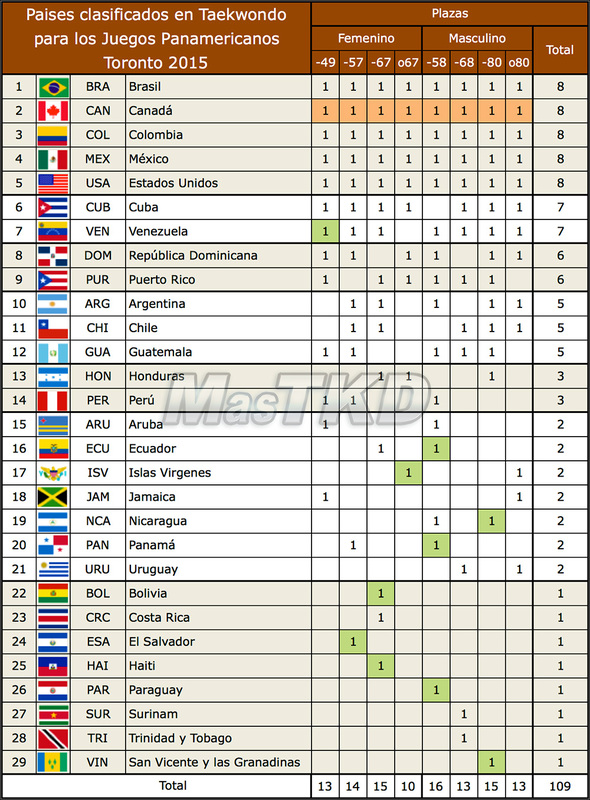 Age Requirements: Athletes must be at least 17 years of age during the year of the 2015 Pan American Games (born 1998 or earlier). Athletes must be a holder of current WTF Global Athlete License. All participating PATU MNAs must select final team members via an official selection tournament for the weight categories that are qualified at the PATU Official Qualification Tournament held in Aguascalientes, Mexico. Each MNA’s final selection tournament must include the wild card selection weight categories as well. Participating PATU MNAs must submit their final athlete list to PATU and pertinent NOC by May 15, 2015. After this date, no athlete changes will be allowed. Be sure to select the final athletes based on the attached final list of Qualified countries and their weight categories.